Beloved: Week 2 Synopsis. | AfroMadu. 1. The flesh aspect of this segment was very well exposed, with Beloved coming out of the swamp to start her new life in a physical body, and the physical characters throughout the text reacting to a new person in the house. The character dynamics between Paul D relationship with Denver and Sethe; Sethe and Denver’s newfound relationship with Beloved; and company to Denver as she finally felt the spirit’s physical presence. 2. Paul D and Sethe’s relationship seems to become more prominent, realizing that their storytelling of slavery is necessary in their relationship. Paul D’s disclosure on his experience as a slave to Sethe is what is bringing them both together, as Paul D brings another piece to Sethe’s story about Halle and his existence. Sethe cannot continue to think that Halle might be somewhere still alive, when this entire time she coped with the fact that he might be dead. Sethe’s openness to hearing Paul D’s stories is vital in the continuation of him remembering the past. Thus, having this couple feel as if their relationship is vital in hashing out their experiences. 3. Baby Suggs community scene in the middle of the woods was very important in the healing process for the characters in the story. Toni Morrison did a great job in vividly show a flash back and connecting it to the solution of the problems within the text, and the solution to loving Blackness in general. Loving ourselves and protecting the things that we cannot change. Such a beautiful and very important part in the text. 4. We also see that Beloved has some unfinished business with her mother. Whether it is positive or negative, Denver is beginning to realize that her sister’s visit isn’t to merry after all. Few scenes show how Beloved begins to get very territorial over Sethe and the things she has planned to ask and do to her mother. Is Denver beginning to become isolated all over again? 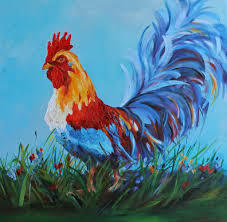 The significance of Mister, the rooster. This Sunday our discussion continues covering our third segment of the text, (pg. 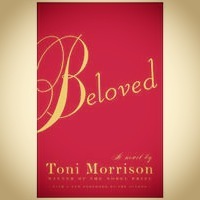 125-198 in hard copy, 205-317 in pdf) followed by another synopsis of Beloved! Previous PostA Drastic Fall of South African Maize (Corn) Prices.Next PostJuneteenth: Channeling Our Energies in Our Own Purposes.